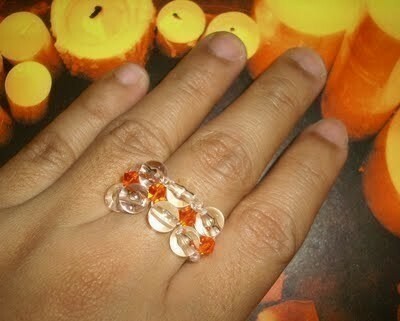 This is a simple beadweaved ring I have created using RAW or right angle weaving technique; so easy and quick! Prepare 5 pcs 2mm bicone crystals, 8 pcs 5mm round beads or crystals, seed beads and 15 inches nylon thread. 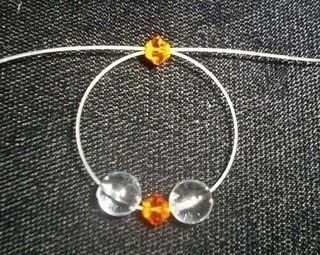 Insert 2 bicones and 2 round crystals on your nylon thread in this order: bicone, round, bicone, round and position them at the middle of the thread. Crossover your threads and insert it into your first bicone and pull your nylon thread. 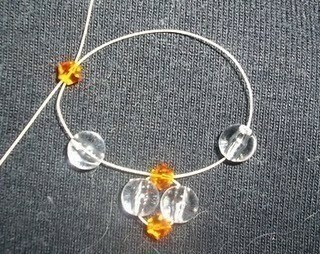 Then insert 1 round crystal on your right nylon thread. On your left nylon thread you should have a round crystal and a bicone. After pulling your nylon thread, continue inserting another round crystal on your right thread and 1 round crystal and bicone on your left thread. Then crossover your threads going into the bicone and then pull. 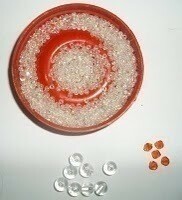 Repeat Steps 4 & 5 until you've used up all the bicones and round crystals. 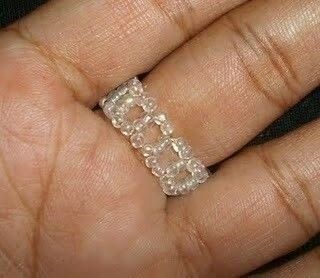 You can always add more, depending on how wide or long you want the facade of your ring to look like. 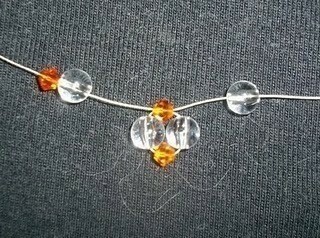 When you reached your last bicone, insert 2 seed beads into your right thread and 4 seed beads into your left thread. 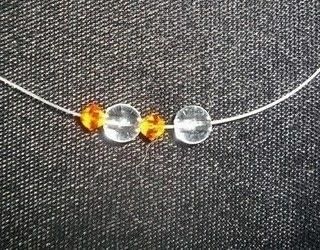 Just like what you did on how you crossed-over your threads, do the same with the seed beads but this time cross the thread over and insert into 2 seed beads and then pull the thread. Repeat Steps 6 & 7 until you reached your desired length. 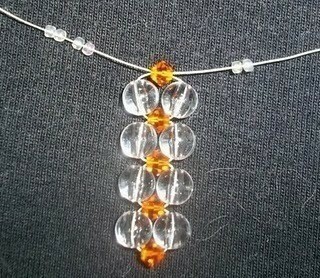 When you reach your desired length, insert only 2 seed beads on both your left and right thread. 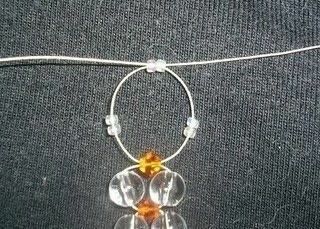 Crossover your threads going into the bicone. 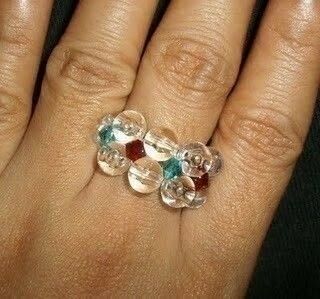 Pull your thread and now your ring band is connected to your ring facade. 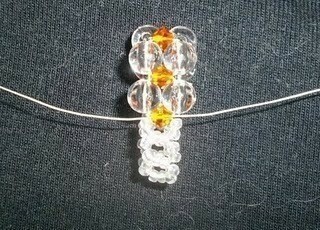 To finish it off you can either knot and then cut the excess threads or insert the excess threads into several bicones and round crystals and knot. Cut off excess threads. 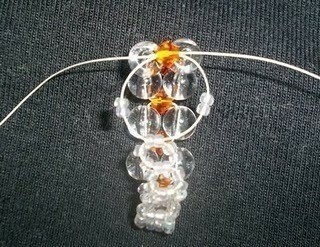 You can also put a dab of glue to prevent the knots from sliding off.